The unmistakable shape of the "Kaska" M36 has become a classic. The top had a small comb which covered a ventilation hole. 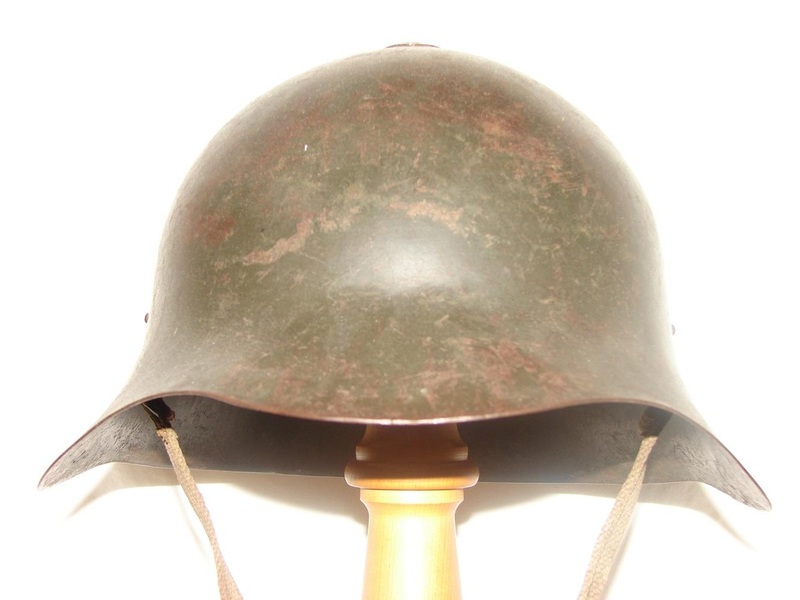 The interior liner was made of a cloth stocking with an oil cloth sweatband, there is a corrugated metal band which doubled as ventilation and shock absorption, an idea taken from the WWI French Adrian helmet. Earlier variations of liners and chinstraps were produced with these helmets but due to issues with the short lifespan of the materials in the field they were not produced in large numbers. The date stamp on this helmet is 1937.